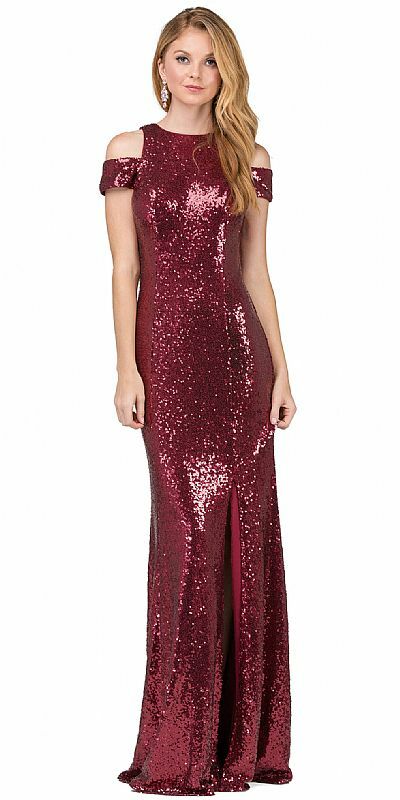 Cold Shoulder Keyhole Back Sequin Long Prom Dress. High round neck with bands like sleeves on this 62" long dress. Front side slit on the flared bottom dress & bra cups included. Cut-out back with zipper closure. Imported.